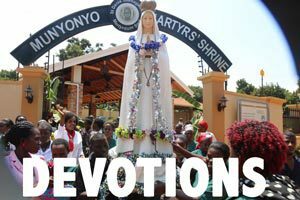 Munyonyo Martyrs' Shrine is the starting point of the last journey of young Christians for their execution in Namugongo on 3 June 1886. 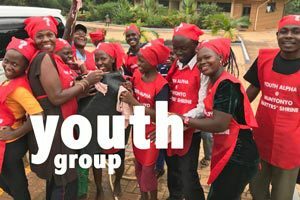 Having been sentenced to death in Munyonyo on 26th May (Wednesday), the condemned then began upon their own walk to Calvary – a two day journey to Namugongo, which they reached on 27th May (Thursday). Some had already been killed in Munyonyo, others were killed along the way, but the majority were burned alive in Namugongo on 3rd June. 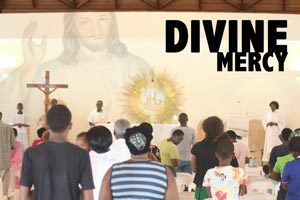 24h Adoration of The Blessed Sacrament every Thursday starting after 7am morning Mass until Friday morning. 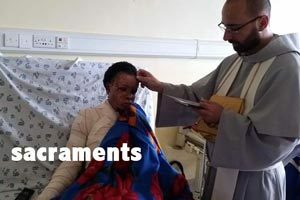 Uganda Martyrs Catholic Parish was created in 2016 by Archbishop Cyprian Kizito Lwanga in honor of Pope Francis visit to Uganda and Munyonyo Shrine in November 2015 and is run by the community of the Conventual Franciscan Friars (Greyfriars). 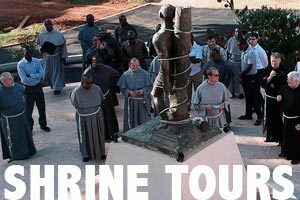 Parish includes three places of martyrdom of Uganda Martyrs and historical place where future martyrs where sentenced for death. 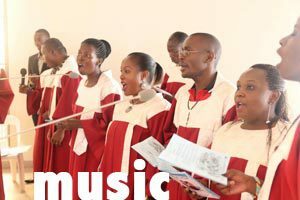 Currently sacraments are celebrated in two churches (Munyonyo and Kyamula) and two chapels (St. Denis Chapel and Lugbara Community). 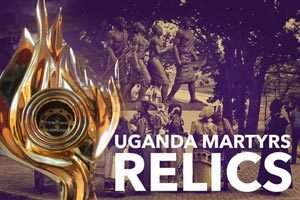 Munyonyo Martyrs Shrine is compromise of three places located in Munyonyo-Mulungu and Salaama-Kyamula of Kampala City where three of Uganda Martyrs sacrificed their lives for the sake of Christ. Churches and Chapels were built in their respective places of martyrdom. 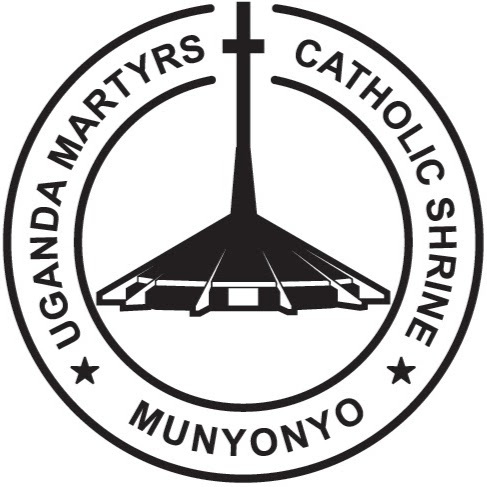 Other Uganda Martyrs were condemned for death in Munyonyo and led for their execution to Namugongo. The day he met his death, he was arrested at his home and taken to Katikkiro (Chancellor) Mukasa who ordered the executioners to cut off his arm and take it to him before the Katikkiro could eat anything as a proof of Kaggwa's death. 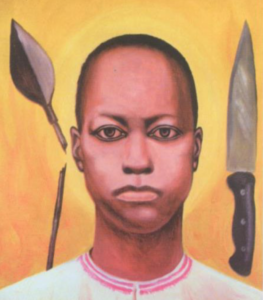 Kaggwa's arm was first cut off and taken to Mukasa before he was beheaded and hacked to pieces at Munyonyo. He died in the afternoon of Wednesday 26 May 1886. 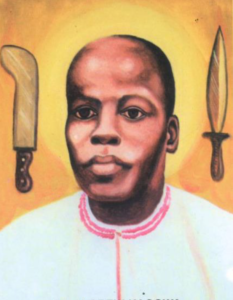 He was tortured and speared by king Mwanga II before handing him over to executioner Mpinga Kaloke on the evening of Tuesday 25th May 1886. On Wednesday morning 26th May 1886, Mpinga ordered his two men; Matembe and Mulyowa to hack the boy of 16 years into pieces. Ssebuggwawo was first beheaded before he was hacked into pieces at Munyonyo. 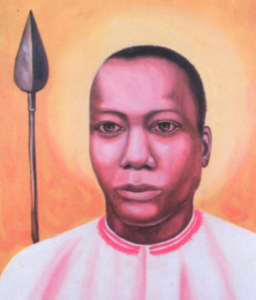 He was speared to death a number of times by chief executioner, Mukaajanga. His head was cut off by the executioner, Ssittankya and other executioners hacked his body to pieces, which they scattered all over the place. 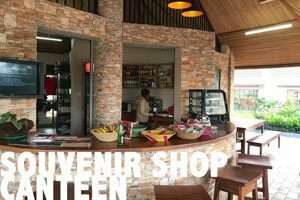 He died on the evening of Wednesday 26th May 1886 at Ttaka Jjunge (Kyamula), near Munyonyo at the age of between 35 and 40.